With extremely flexible Ad display options using customisable Zones and Ad Layouts, you can best utilize your Advertising real estate. AdsInEmail ensures Ads also reach to people who are not frequent site visitors. Remote Ad delivery lets you deliver Ads to any site! 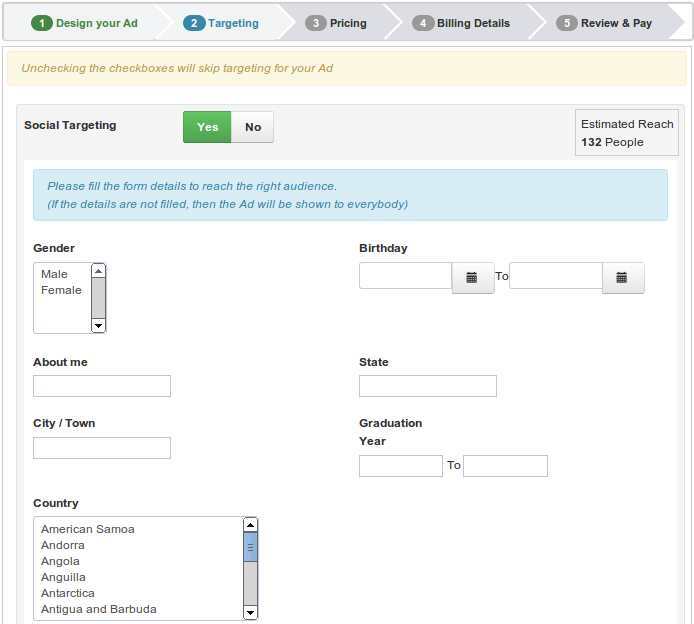 SocialAds gives power to the Advertisers by letting them choose from an Array of Ad targeting options like Geolocation Targeting, Demographic or Social targeting as well as Keyword targeting - Thus greatly improving their ROI. Our extremely intuitive Ad Designer and detailed Ad performance Dashboards, as well as weekly emails, ensure your Advertisers are happy! SocialAds supports 2 awesome Revenue models. The traditional pay per Ad model with the ability to pay per click, per impression and per day OR with the ability to Pre Pay and run Ad campaigns on a per impression or per click mode till the balance runs out. 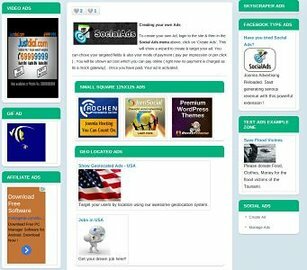 Be it a vanilla Joomla website, a large News Portal, full-blown Social Network or E-commerce store, SocialAds gets your Ads running in no time while you sit back and watch the cash flow in. Bootstrap 3 compatibility. * Please note that SocialAds does not need any Social networking extension like JomSocial or CB to run. However, if you do have it, you can configure SocialAds to use the data for Demographic or Social Advertising. 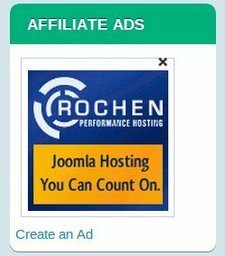 With this feature, you can serve Ads to any Website - HTML, Joomla, Wordpress, ASP or whatever else! We provide a platform agnostic HTML/JS widget for every zone which you can use to place on any of the sites where you wish to deliver Ads to. Multiply your salable advertising real estate by many times with this awesome feature! 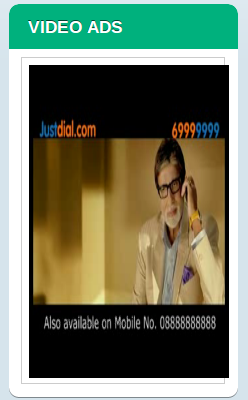 What's more, Ads delivered to remote Zones are not just random ones but they can be targeted Ads too! Our widget generator lets you customise the widget in many ways. If you are a developer, you can take this to the next level by providing additional content for targeting from the client site to further improve accuracy. Read our detailed documentation on how to use Multisite ad delivery for more details. With the new Ad rotation feature, you can show more ads per square feet! Advertising real estate on your site is limited and this obviously affects how much you can earn from the same. With Ajax Ad rotation you can increase your effective salable area thus boosting your revenues. This feature also works with Multisite delivery. 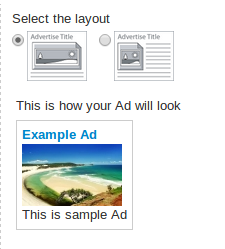 So your Ad widgets on partner sites will also be able to show additional ads in the same area. and making sure the impressions are counted correctly. Showing accurate Ads to users can potentially be a taxing operation when you have many Ads showing. This version of SocialAds introduces many new improvements in the Ad and User Caching code reducing server requests to a very minimal amount. These performance improvements mean a much faster site for you without any compromise on accuracy! 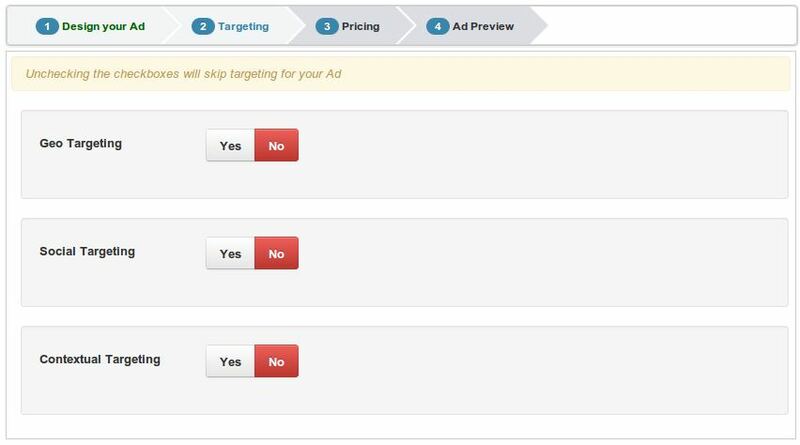 SocialAds offers an array of targeting options that the admin can choose from to offer advertisers. 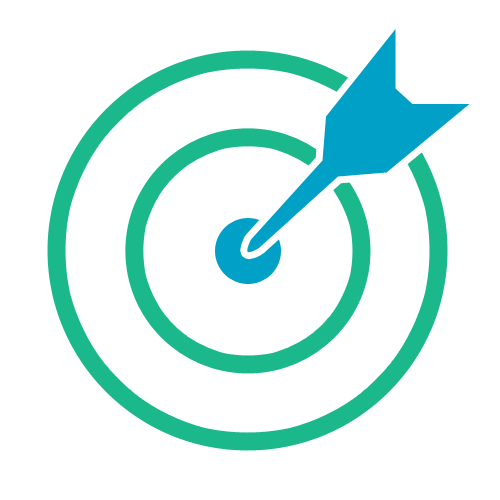 Advertisers can also choose to maximise their audience by setting up untargeted Ads. In case none of the available targeting options is not used, then Ads will be shown to everyone including guests. Advertisers can choose to show Ads only on pages that contain the Keywords relevant to their posted Ad. In this case, the Ad shall be shown on pages that have maximum relevance to the configured Keywords against the Ad. 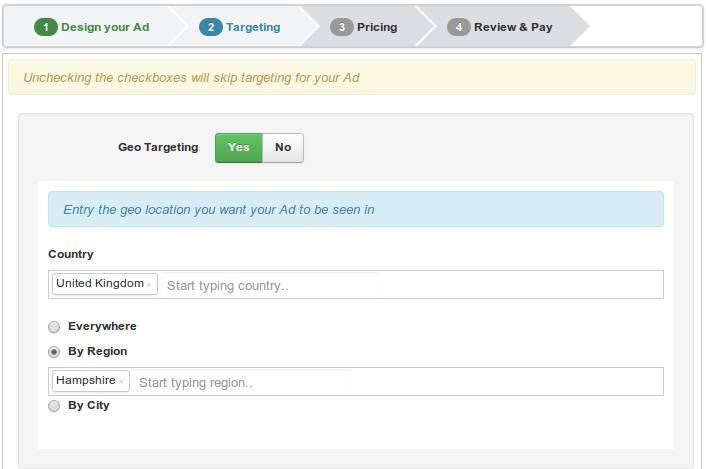 With this spectacular feature, Advertisers can choose to show Ads only to users in specific locations by choosing location variables like Country,City,Zip Code. Real time geographic location information based on the visitors IP address is used to do geolocation targeting of Ads. Target ads according to demographic information like gender, location, interests etc for showing relevant ads to logged in users . 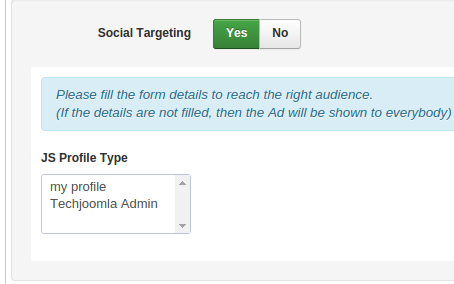 Profile information from JomSocial or CB or EasySocial can be used for targeting. Extend the SocialAds targeting functionality to your own extension with this awesome developer feature. JomSocial Groups, JomSocial and XIPT Profile types targeting are some examples that are already included with our regular release. One of the advantages of being the developers behind many e-commerce products, is that we are continuously and iteratively improving our ‘ecommerce framework’ so to say which includes lots of payment plugins and an awesome checkout process. The advantage is that improvements in one product benefit the others as well. The current version introduces a new stepped Ajax checkout that is sure to blow you away ! In case you happen to click somewhere else, state saving makes sure you don’t have to fill the forms again. Plus automated data pre filling from CB, JomSocial and EasySocial means that users don't have to fill in long forms at all ! With more and more people accessing the Web on Mobile, it's become imperative that Ads also adopt to this changing scenario and be more visible on mobile platforms. The first step we are taking in that direction is the introduction of Responsive Ads. Ads will now dynamically adapt to your screen size making it a much better experience on smaller screens of Phones and Tablets. We have introduced some new and bettered a lot of the email notifications sent out by SocialAds in this release. The content is more clear and accurate to save you time from editing emails. 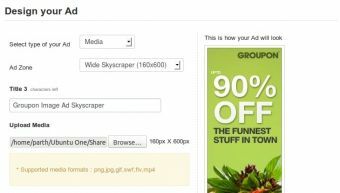 Show Ads anywhere on your site with our easy to configure SocialAds module. Multiple copies of the module can be configured with Zones to show Ads of various types and sizes. Show promoted Search results or Ads in search results with this awesome feature. Search Ads work with Keyword targetting and Ads relevant to the Search are shown against the Search results in regular Ad display modules. Supports native Joomla search, Community Builder, JomSocial and Zoo Search as of now. A lot of small space on your site?? Not a problem text ads is small easy to read and can be designed to fit almost anywhere, text ads make it easy to utilise small spaces on your site to maximise its revenue earning potential. A Picture is worth a thousand words. Give your advertisers full flexibility to create Ads using Images, GIF animations. Put Life in your ads and earn some serious revenue. Your advertisers gets a privilege to enhance their ads by using Videos or Flash animations. Sometimes an image or video isn’t enough. You need both. Facebook and LinkedIn use these effectively. This is an old favourite with advertisers. Admins can also setup Ads with Advertising Code from various services such as Google Adsense to run alongside your own ads. AdsInEmail lets you deliver Ads via email in supported extensions like Invitex, Email Beautifier and jMailAlerts. So now ads will reach directly to the inbox. Flexibility to incorporate any kind of a site and to allow any kind of Ad layouts and sizes is extremely important for a good Advertising system. 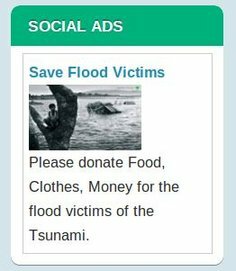 With its awesome feature, SocialAds serves these needs beautifully! Zones define what kind of Ads can be placed in a certain part of your site. The Ad dimensions, Type etc can be defined to suit the Ad location you want to place the zone in. 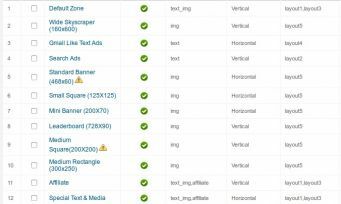 Zones give you full flexibility to create different Ad units in varying sizes and types to best utilise different areas on your site for efficient monetization. A much sought after feature, admins can now rejoice ! 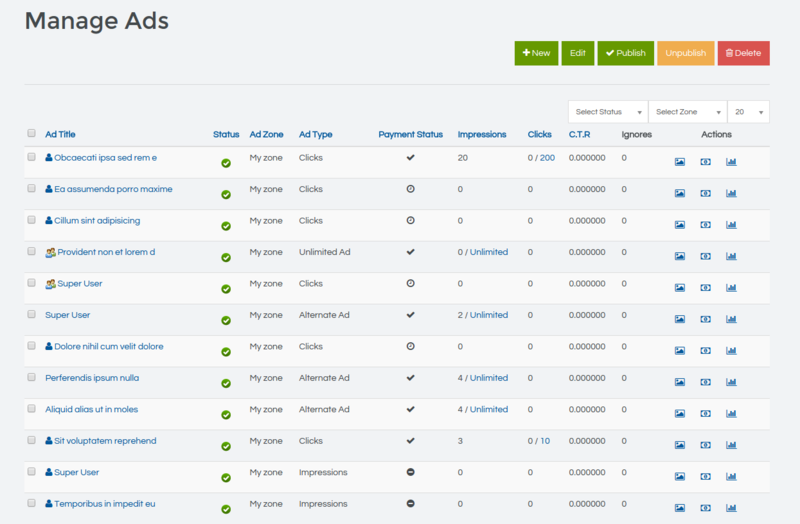 It is now possible to manage & create Ads on behalf of users from the site backend. So if you prefer not to offer self service advertising to your advertisers or if they expect you to do it from them, you should be all set! The relative positioning of the various elements of the Ad are defined in Ad Layouts. We have offered full flexibility to design varying Ad layouts using layout plugins. SocialAds comes prepacked with a few common ones while giving you full scope to innovate and create some more! based on the content that they own on the website. A good UI goes a big way in converting your customers to advertisers. In this version we have given special focus on making sure that our adoption of Bootstrap is more complete making for a uniform and pleasing experience throughout all the screens. 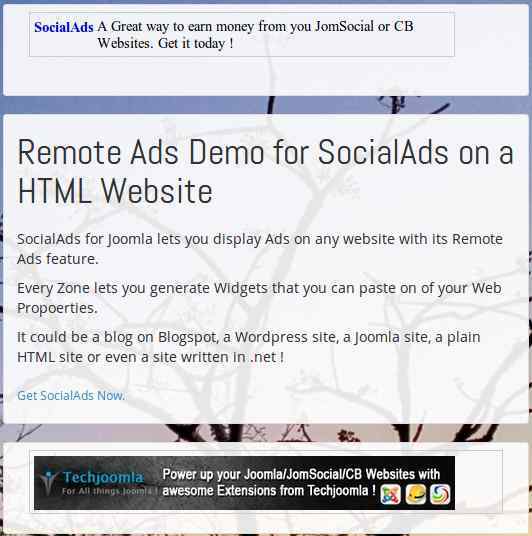 With SocialAds we have started rolling out support for the native Joomla update system. This will be the first extension to have that & new releases from now on for other extensions will also get this feature. With Joomla Updates, you get the flexibility to update to the latest version of your extensions with just one click. Till now it was not possible to charge any taxes to your customers in SocialAds. We have introduced basic taxation support with a plugin. With this you can now charge a standard tax on all SocialAds transactions. Invoices have been requested for long now especially by our European customers. It is mandatory to give invoices in Europe and SocialAds has now stepped up to offer VAT invoicing. We hope this will please our customers and will save them a lot of manual work. This mode works the way Google, Facebook and LinkedIn Ads work. Here the user needs to maintain a balance against his account. He or she can then create campaigns and set daily budgets against them. He can then create ads without having to pay and checkout for every Ad. This mode Supports pay per click and pay per impression. Slabs and Pay per day is not supported in this mode. Another feature that you have been asking for a while now, SocialAds 3.0 brings ACL support in both frontend and backend to make it easier for you to restrict access to specific areas. It is now also possible to set up a ‘Advertisers Group’ with specific access for creating and managing ads and restricting normal registered users. Our extensions are powered by the 'Joomla Common Payments API' . Your Subscription comes with free support and updates for the following plugins. Admin can get insights of the total number of ads on the site and will be able to monitor his revenue, Click to impression ratio etc. 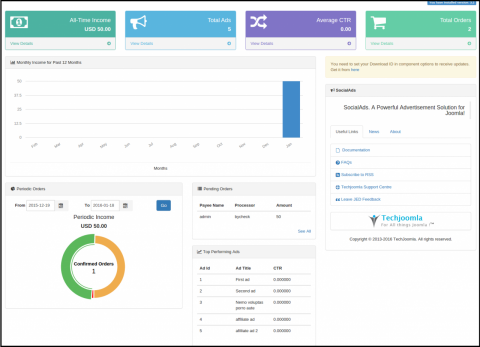 Having a look at all the wallets of the advertisers is easy with SocialAds. By clicking the view transaction link admin can get all the details of the wallet (Wallet Transaction view). Sometimes admin might have to create campaigns for the advertisers. 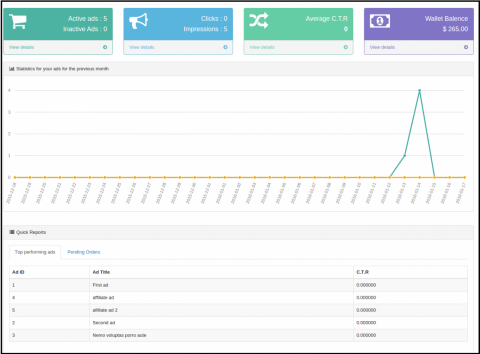 SocialAds has Wallet mode - Campaign list and form view using which admin will be able to create campaigns for advertisers. 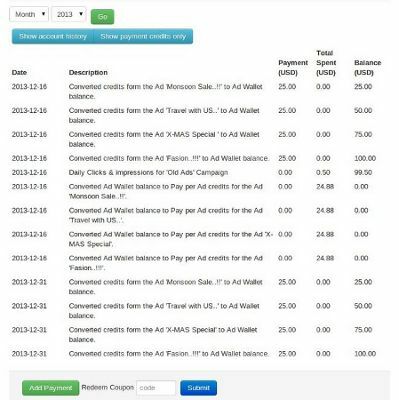 Invoices are sent in emails and SocialAds also has an invoice view in the backend from where the admin will directly be able to view and print invoices. With this view keeping a track of all the orders and status for advertisers is a piece of cake. 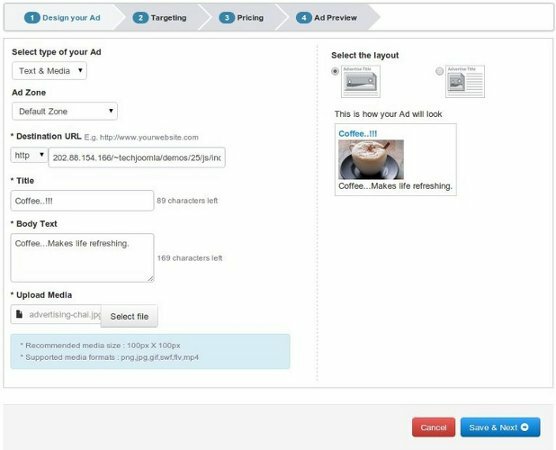 Actionlog plugin for SocialAds enables site administrators to log actions for different activities important to SocialAds like ads, orders, campaigns, coupons and zones. The privacy plugin is responsible for processing privacy related requests to SocialAds. Privacy related requests are related to export and deletion of user data. We do have a 30 days money back policy. So if the product seems like a good fit for your requirements, you can simply go ahead & buy it today! We are there to help you try it out and to support you with any questions that you might have! Awesome product! Awesome Support! they just make it happen!Thanks a lot for your support!